Earlier this week I read about a simple, fun way that people could help out in Newtown, CT. I am sure everyone is feeling such incredible sadness and hurt, all over the country. I know personally, that I felt a little helpless knowing that there is nothing I can do, myself, to help out these poor families. When I saw the "Snowflakes for Sandy Hook" article I knew that this was definitely one way I could help out! I encourage you all to participate in this as well!! What a wonderful activity to do as a family or with a group of friends. Due Date: January 12, 2013. I love this!! 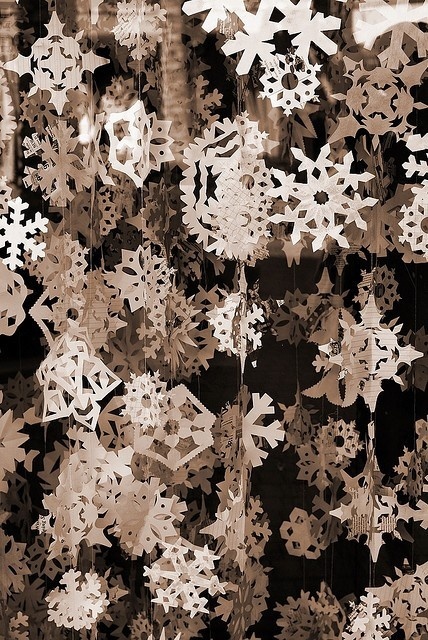 I'm definitely going to make some snowflakes to send...thanks for sharing! This is just beautiful! I made some snowflakes to decorate my home for Christmas, now I can send some off to brighten the the school for these brave kids.